In this paper, we generalize a high order semi-Lagrangian (SL) discontinuous Galerkin (DG) method for multi-dimensional linear transport equations without operator splitting developed in Cai et al. 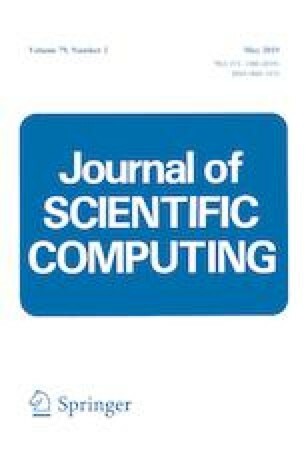 (J Sci Comput 73(2–3):514–542, 2017) to the 2D time dependent incompressible Euler equations in the vorticity-stream function formulation and the guiding center Vlasov model. We adopt a local DG method for Poisson’s equation of these models. For tracing the characteristics, we adopt a high order characteristics tracing mechanism based on a prediction-correction technique. The SLDG with large time-stepping size might be subject to extreme distortion of upstream cells. To avoid this problem, we propose a novel adaptive time-stepping strategy by controlling the relative deviation of areas of upstream cells. W. Guo: Research is supported by NSF Grant NSF-DMS-1620047. J.-M. Qiu: Research of first and last author is supported by NSF Grant NSF-DMS-1522777 and 1818924, Air Force Office of Scientific Computing FA9550-18-1-0257 and University of Delaware.